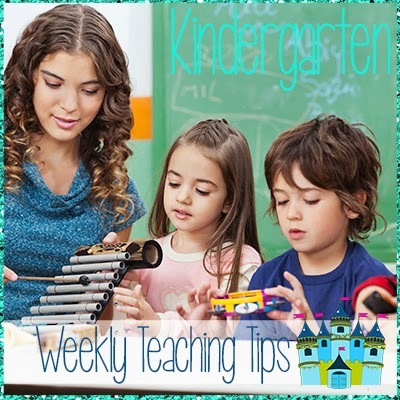 Preparing for Kindergarten Child Study – IEPs and 504s! As a kindergarten teacher, I always want to set children up for success and ensure they are getting the best learning opportunities and resources available. Sometimes, what I can offer to 20+ students at one time just isn’t enough for a student’s needs and that’s when I need to look at child study. Child Study is a place where I can meet with a team of professionals at my school to discuss a child’s needs and whether there is a need for an IEP or 504 plan. This is my second year in kindergarten and I’ve taken two children to child study and am taking more in my second year. There are many reasons to not take a child to Child Study and many reasons that make sense to take a child to Child Study. · Some children aren’t fully developed (at least in kindergarten) and so these children might just need more time. · Some children’s first experience is kindergarten and need to learn social skills before further academic interventions can take place. This article mainly will focus on ways to document and prepare for Child Study. As you can see there are many reasons to wait on going to child study and many reasons to go ahead and go to child study. It is my belief that I need to find a good balance. I believe in giving children time to develop, but I also want to be proactive – a proactive society leads to less problems. The reasons are yours and documentation can never hurt. When in doubt, document, document, document. Documentation has been the toughest part of my day. In kindergarten, one day seems like a week to me. My memory evaporated the minute I became a kindergarten teacher! I’m just not one of those who can remember anything anymore because snotty noses, untied shoes and lost backpacks or jackets are the constant concerns of my kindergartners and then become my concern. SO, here’s a method that has worked well for me and one I’m implementing now to help me take a child to Child Study bat our school. It seems so simple, but it has made my life so much easier! As stated, I have a terrible memory. This might not work for everything, but for learners who may have a slight delay, this works great! If I take a picture, I can review it later and write the commentary. Otherwise, I might not remember based on my memory alone since if I write a note (it usually gets lost) or I just don’t have time to write the note. It also proves and shows others some of the problems you might be facing! This is also great for parents who do not understand some of the issues you might be facing – perhaps this is their first child and they don’t see the delay or issue or they just see a different side of a kiddo at home. This way, you can collaborate and work with parents by presenting the facts and helping eliminate emotion from the situation. Inside a folder or binder include copies of emails sent to parents and the number of contacts. Also include any reprimands or anecdotal notes WITH dates. Dates with photographs and notes are equally important. Also include the place where you documented the behavior. I have a solid behavior plan in place that allows me to track behavior over a long period of time and at what time of day undesirable behavior is being exhibited. For example, I use a 10-frame and ask children to score themselves out of 10 for how many points they earned for different parts of the day – writing, math, specialist, reading, etc. I keep these records and then can show with notes at what times of the day “Johnny,” is struggling. Because children score themselves and it is collaborative, there usually isn’t any argument. It is also a positive spin on behavior – children are empowered and self-motivated. To learn more, you can click HERE to see my product on TPT. Organization is the key to being successful. 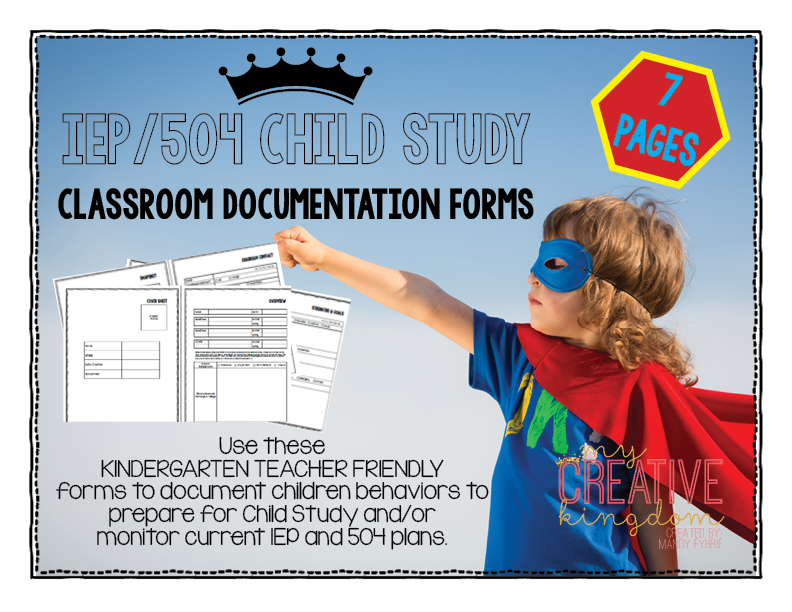 You can find all the documents I use to track and document student progress for IEP and 504 plans HERE.